Video content is available just about everywhere you look. The problem is finding and saving your favorites, whether on YouTube, Vimeo, Facebook, or stored your MacBook, so they’re available when you want them. This explosion of rich media has also given rise to a multitude of video formats, many of which require different players and editors, all with their own sets of commands to deal with. It isn’t as hard as you think to get permanent access to any video, anytime, anywhere. Just follow the steps below that require only a Mac and a copy of Aiseesoft Mac Video Converter Ultimate. Start by building a list of URLs of the web videos you want to download, whether on YouTube, Vimeo, Facebook or other popular sharing sites. Note a name for the folder you’ll store your videos in so you can organize as you go. A folder on a network-attached-storage device or one linked to your cloud account will be ideal, so you can access your videos from anywhere with Internet access. Don’t forget to add the videos you’ve already burned to DVD to the list so you can create a single, comprehensive list of all the videos – homebrewed and found on the web – that you enjoy viewing. Armed with the list, launch Video Converter Ultimate and click on the “add file” button to download your web videos. Just point to the URL, indicate which source resolution you want to use and point to the destination folder you’ve chosen. As you work down the list, think about where you’ll primarily be watching each video – on your Mac, your phone, tablet, or TV. You can use that information to optimize the video for each platform. Use the same method to rip your homemadeDVDs and you’ll have created a single repository where you can find any video easily. 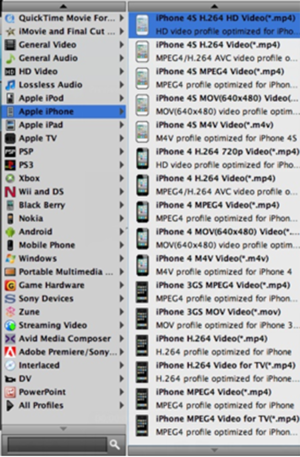 And saving them in subfolders like “Phone” or “Tablet” can help you find the right format fast. You may also want to adjust the quality and features of your captured video. Sometimes the clips you’ve saved may be too dark, too saturated, or have aspect ratio issues. Before you save them for later viewing, you can fix those issues using an “edit” tool like the one built into Video Converter Ultimate. With it you can adjust brightness, contrast, color saturation and hue, or even turn up the volume. You can also crop the video to get rid of letterbox or pillarbox bars to fill your screen with just the part of the image that you care about. If your new 3D TV is aching for more content, you can also convert your 2D videos to a broad range of 3D formats. Best of all, you don’t have to wait until it renders to see the effect of your edits – the preview window shows exactly what it will look like in real time. MPEG-4 format may be fine for viewing on your Mac, but you might need to optimize and ensure compatibility with other devices you plan to watch your videos on. Instead of researching pixels and aspect ratios for every device, just choose one of the pre-loaded profiles from Video Converter Ultimate. Choose from the list of TVs, video game consoles, tablets, or phones, or from one of the general video formats. You could also create multiple versions, so your videos will be in optimal form no matter where you end up doing your viewing. You’ve downloaded, converted and optimized your videos, and with that raw material you can craft new videos from the clips and scenes you’ve cataloged. The “clip” tool in Video Converter Ultimate can create clips from your saved videos or just trim away the parts you don’t want. You can save those clips individually or edit them together to synthesize exactly the video you want, leaving the 20 minutes of camcorder-pointed-at-the-ground on your personal cutting-room floor. Get to work on your video library today with Video Converter Ultimate from Aiseesoft – recently updated with more features and formats, and offering a special limited-time discount for MacWorld readers. This story, "Any format, anytime, anywhere: how to download, convert, and optimize any video" was originally published by BrandPost.